When I heard that Born to Hula was putting a BBQ sauce on the market, I instantly knew I had to try it! Imperial Apple! I’ve been seeing it on the various hot sauce and BBQ groups on Facebook with it’s beautiful label and mouth-watering description! Man oh man!! And lo and behold, a gift arrived at my doorstep today, like manna from heaven! And it was so glorious that I could of sworn I heard angels sing when I opened it! Ten minutes later it was slathered all over my left over grilled chicken breast! And here I am the very same evening just having to share! It’s a stunning looking label- black with a metallic BTH crested eagle logo and lettering, with a nice unique label shape (see picture!). It has a rich looking, commanding presence with a genuinely German feel and the phrase “100% Natürlich” (that’s natural for you non German speakers!) on the label is a nice touch. And with ingredients like Berentzen Apple Liqueur and Applewood smoked habaneros accompanying the molasses, brown sugar, apple cider vinegar, vine-ripened tomatoes and spices, I knew I was in for a treat! And it did not disappoint! It was thick, robing the chicken evenly, with a nice texture. The richly colored sauce was oh so slightly acidic from the tomatoes and apple cider vinegar, but with just enough acidity to open the palate and get the tastebuds ready for the mild, sweet, apple flavor. Pair that with a zesty pop from the liqueur, a bold “we are spices, hear us roar” statement from the spice blend, and then a subtle, smartly layered habanero based heat that is the undertone for the entire flavor spectrum, and it was just Wünderbar! The applewood smoked habs was a creative stroke of genius, using a nice, bright pepper, but using the applewood smoke to tone down the citrusy sharpness of the hab so it didn’t overpower the other flavor profiles. Born to Hula’s Imperial Apple BBQ sauce now sets right next to a very small club of what I consider top end BBQ sauces! Ed and Amy Bucholtz have definitely been on a positive roll lately, introducing one winner after another. Their Smokehaus salsa and Smokehaus Blues, the new fatalli based smoked pineapple hot sauce, and now the Imperial Apple BBQ sauce proudly accompany their existing lineup of award winning sauces and spicy snacks. Go to their website, http://www.borntohula.com and stock up on some fiery goodness today! And don’t forget to tell them I sent you! Why, ladies and gentlemen? Because we all know – It’s a Fiery World!!! People’s Choice Sausage Company is jerking you around…in all the best ways! People’s Choice Beef Jerky boasts a great lineup of products! When I was approached by Brian Bianchetti from Los Angeles about trying out some of People’s Sausage Company’s People’s Choice Beef Jerky, I did some digging around on the world wide interwebs and discovered that he was part of a family business that started making meat products back in 1929 in downtown L.A. Fast forward to 2016-four generations and almost nine decades later, and they still employ the painstaking, handmade processes utilized when their sausage business first started back in the day. Brian’s dad added beef jerky to their product line along the way, and the rest, as they say, is history! People’s Choice sent me one of everything they offer: Large packs of thin sliced jerky, their three “signature” lines, and their Beef sticks. What do they all have in common? The quality of beef used is excellent. I wasn’t told what exact cut of beef is used for each, but they all had an excellent base flavor and texture, and I knew I was experiencing a higher quality cut of beef than most jerky I’ve eaten (and I’ve eaten a lot of jerky in my day, folks!). Without exception, it’s a great lineup of styles and flavors. I won’t go into significant detail about every one of them, cause I would jerk you one way and then jerk you another, and then you’d start thinking I was a jerk, and well, we wouldn’t want that, now, would we?! But I will touch on all of them and give a little more detail on a few that truly stood out. So let’s talk some jerky! The 3 large packs were simply labeled “People’s Choice Beef Jerky” and came in Original, Hot & Spicy, and Teriyaki flavors. They had larger sheets of thin sliced beef, and while albeit tougher than the others, they weren’t overly tough. The Original had a good flavor, focusing on the natural flavor of the beef with a nicely rounded, traditionally minded use of garlic, onion, and other spices. It was slightly sweet, but not overly so, and while not highlighted, had less than 300 mg of sodium per serving, something almost unheard of in jerkyland! As someone who tries to watch my sodium intake, I was very impressed. The Hot and Spicy also had less sodium, but I didn’t find it much spicier than the original. It wasn’t quite a sweet on the front end, and there was a little more discernible pepper flavor, but I wouldn’t go so far as to call it “hot”. But then again, I’m a chilehead, a lover of heat and spice, so this flavor configuration probably works well for most palates. The Teriyaki was understandably sweeter, and with a fairly subtle soy and ginger flavor profile, which I enjoyed because it didn’t overpower the flavor of the beef. It also had slightly more sodium than the other two, which I would have expected. The Old Fashioned line (also in Original, Hot & Spicy, and Teriyaki) was slightly thicker and in smaller pieces, and was dry, but not Sahara desert dry, if you know what I mean. The marketing sheet says this line features old family recipes, and the flavor profiles follow closely with the large, thin sheets found in the large packs. The one exception is that the smaller, thicker pieces were not as sweet on the front end, with the exception of the teriyaki. And the Hot & Spicy brought more spice and heat forward, and after eating an ounce or so, I could tell my mouth was “feeling the burn”(If you’re reading this during the 2016 presidential campaign, well, no pun intended!) The sodium content in this line, while higher than the thin sheets, was significantly lower than beef jerky you find in most stores. The Carne Seca line also used a thicker cut of meat, but it was still lean. It was mostly dry, but not tough. I tried the Limon and Limon con (with) Chile. The lime (Limon translates lime-most of the time) flavor was very, very mild and hard to pick up, but there was a slight “brightness” of flavor that I could only attribute to the influence of the citrus. The “with chile” version added a layer of spice that wasn’t overwhelming and played well in the sandbox. The other traditional Mexican flavors were pleasant, the sodium again lower than you’d expect, and while not my favorite in the lineup, I sure wouldn’t turn it down if offered to me. The Tasting Kitchen line focuses on limited edition, small batch, special flavors, that the company changes every so often. 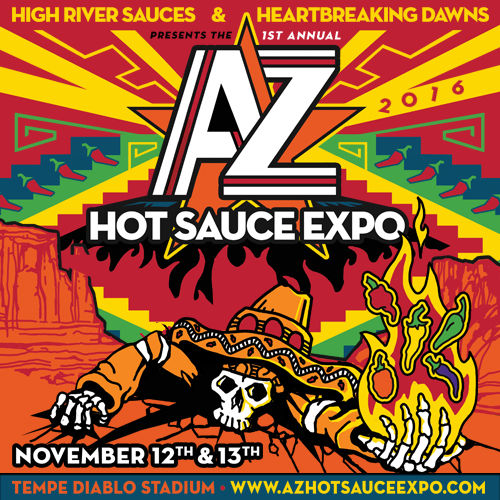 I sampled the Orange Honey Teriyaki, Sweet Chile Habanero, Garlic Ginger, and Sriracha flavors. The first three mentioned featured thick cuts of lean, moist beef, and I felt more like I was eating a nice flank steak, or maybe a round steak that was marinated forever and fully cooked, but not tough at all. The Sriracha, while very lean and flavorful, was much drier than the other three. It was hard to isolate a definitive Sriracha flavor, but after several bites, I felt a nice spice, and if I closed my eyes and concentrated really hard, I could tell that maybe…just maybe, I was eating Sriracha flavored jerky. The Sweet Chile Habanero was by far my absolute home run favorite! I wrote notes on every product and I’ll just tell you what I wrote about this one in particular- AWESOME!!!!! Okay, I only used 2 exclamation marks in my notes, but I’m all excited now that I’m sharing my thoughts! It was very moist and tender with a great base beef texture and flavor and a sweet front end. I swear that it almost tasted like it had been candied! Crazy good! The habanero heat layers in very nicely, sliding in behind the sweet, ramping up to a discernible burn, but very manageable for most people. And the heat lingers a bit, just like a habanero should, but the sweetness of the beef and other flavors tempers it to a very enjoyable level. This one is definitely worth multiple repeat performances! And it didn’t have any more calories or significant difference in the amount of sugars, etc. found in the other flavors. The Orange Honey Teriyaki was very moist, and slightly sticky. I could discern the orange, and I almost found this one a tad too sweet, but my wife and jerky lovin’ son ( And for the record, no, I did NOT call him a jerk,…even though he did try to steal some before I was ready to fully share the wealth!) really liked this flavor. The Garlic Ginger was also excellent, with subtle Asian tones (I mean, duh, it does have ginger in it) and a well balanced flavor profile. And the big surprise for me were the Beef Sticks, also in Original, Hot & Spicy, and Teriyaki flavors. I’m generally not a fan of beef sticks because I find them greasy, either too tough or too mushy, and with an artificial tasting flavor. Not this time! They were lean, not greasy or oily at all, and tasted fresh and natural. They had a nice firm casing that was not tough at all, and the meat was just the right texture and consistency. While the Original and Teriyaki mimicked their thinner cousins very closely in their flavor profiles, I found the Hot & Spicy beef stick to be spicier than its cousin, with a nice, layered heat, which I thoroughly enjoyed! I can’t think of a company making similar products that could shake a stick at them! Get it? Stick at them? Beef stick!? Sorry…couldn’t resist. Anyway, I loved them! So, there you have it, peeps! A great lineup of beef jerky that boasts something for everyone! From traditional to sophisticated and unique, People’s Choice Beef Jerky lived up to their claim of making things that are made with purpose. It’s very difficult to really get a sense for someone’s emotion in an email, much less their passion, but it was easy for me to tell that this family run business in downtown Los Angeles is proud of their products, their roots, their family, and the handcrafted traditions used in crafting some really smart beef jerky. And well they should be! If I have to wrap the company up in one rating, I’d have to give People’s Choice Beef Jerky and all their collective goodness 4.5/5.0 Fiery Worlds!!! And I promise, I’m not jerking you around! I know! I know! But I just couldn’t resist. Go visit their website at www.peopleschoicebeefjerky.com and tell them that “It’s a Fiery World” sent you! Because we all know, Ladies and Gentlemen, that it truly is a Fiery World! What’s all the Bugaboo about Rougarou!? Well, I gotta tell you it feels good to be in the review mode once again! And it’s fitting that my first written review in a while comes from my backyard – Cajun Country!! The Rougarou lineup of Louisiana style sauces from the new startup company Bayou Blend, from Napoleonville, Louisiana did not disappoint. Let’s start with the foundation of their lineup, Cajun Cayenne, since it appears that the Cajun Habanero builds on that profile. At first, this appears to be a pretty straight forward, cayenne based sauce, but it has some pleasant twists. It has a simple ingredient list – cayenne peppers, garlic, onion, vinegar, and spices. It’s a thin sauce, with maybe just a bit more consistency than another very well known Louisiana based sauce, but with a tad more texture. It has a very appealing look, where you can see the fresh spices suspended evenly throughout. I credit the textural difference to those visible flecks of spices and black pepper swimming around in the sauce, kinda like the beady eyes of a gator in the swamp, which is their label and logo mascot. In fact, the black pepper is a fairly dominant player on Cajun Cayenne’s flavor team. I could pick up the garlic and onion notes, and much to my liking, not a lot of salt! I really am not a fan of super salty sauces. Most traditional Louisiana style sauces are simply peppers, salt, and vinegar, and this sauce ( and the other 2 in the lineup) took a nice, bold step to break that mold! At only 40 mg of sodium per teaspoon, there’s lots of room to guage your own saltiness needs in your food, so the sauce compliments, rather than competes, with other ingredients being used. The heat level is a mild to low medium for the average person, and a definite very mild for the Chilehead, with that quick pop of heat you’d expect with a cayenne pepper based sauce, accented by the vinegar on the front end, with a lingering zing and a playful heat tang. It pairs well with all the staples you’d think with a Louisiana style sauce- eggs, pizza, a “cajunized” bloody mary mix, etc. and with the way the spices are blended, it could easily compliment any sauce or dish. The Cajun Habanero shares most of the above comments, with the following additions: It obviously adds a layer of heat from the habs, as well as that nice fruity, “citrusy” note that I enjoy from a habanero. The layering of heat with the cayenne is done smartly for this medium heat sauce. You get the quick up front palate pop, then the mid palate heat takes over, which lingers much longer than the cayenne sauce, as would be expected. And for both of these sauces, the vinegar is noticeable, and after all, it is a Louisiana style sauce, but it works well in the overall flavor profile. These sauces are respectable, if not too, too remarkable and would work well with all the usual staples, as well a companion to lot of other dishes where you want a fairly mild, but somewhat zingy punch of flavor and heat. Bayou Blend’s Luzianne Red Habanero is a straight up, Louisiana style sauce made of red habanero peppers, salt, and vinegar. It’s thin, red, with a big vinegar front end and a fairly mild habanero heat. I like a nice,traditional Louisiana style sauce to mix with ketchup, add to soups, beans, and eggs. The added heat from the habanero is a nice deviation from either tobasco or cayenne peppers, the stalwarts of Louisiana sauces. And speaking of heat, I would say that even though this is a Hab sauce, it’s only a mild heat, or possibly a medium heat for the faint of heart! Now if you remember, I love me a good label, and Bayou Blend gets an A+ on their graphics and label design. it’s clean, catchy, not too busy, uses a really catchy font, and just has a great, marketable look about it. Their brand logo of the gator with the name embedded is really clever and eye appealing. And if you’re a sauce maker competing with lots of others on a shelf in the store (where folks buy on looks and impulse, cause they can’t taste it! ), then your label is everything! Great job, Bayou Blend! I’m gonna give Bayou Blend’s Cajun Cayenne and Cajun Habanero both a solid 3 Fiery Worlds, which is above average in my world. They had great flavor, a nice heat balance, and would pair well with most anything. I’m giving the Luziana Red Habanero an average rating of 2 1/2 Fiery Worlds, since it’s really not any hotter than most readily available Louisiana style sauces currently on the market. If the folks at Bayou Blend go back and truly do justice to the habanero’s heat potential, I’d rate it at least 3 Fiery Worlds, since I haven’t seen too many true Louisiana style hab sauces true to the flavor profile with enough heat. Even though these sauces haven’t made their way to Bayou Blend’s website, bayousnacks.com , I’m sure they’ll be there soon. I’ve tried their original jerky, which is tasty, with great flavor and texture. They have several jerky flavors available, so go check them out. And there you have it, ladies and gentlemen – 3 sauces from a bayou state newcomer to the scene. I encourage you to order some and try them for yourself, and do your own review. I’m just one man with a unique palate and an opinion. And there are lots and lots of tastebuds and taste prefenences out there! Why, you ask? Because we all know – It’s a Fiery World!! 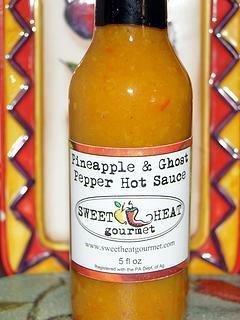 Cast Away But Not Forgotten…Sweet Heat Gourmet – The Lost Sauces!!! Sweet Heat’s Lineup-Almost gone but not Forgotten!!! I think everyone knows the Tom Hanks’ movie Cast Away! You know….Fed Ex guy in the plane crash who is on a small island for 5 years hanging out with some volleyball named Wilson! Everyone thought he was lost forever, but NO! He turns up, not really any worse for wear, and resumes his life. 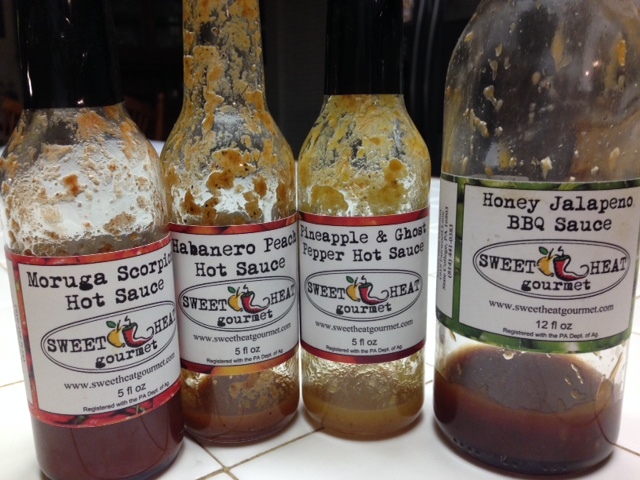 Well……..I have a kinda sorta similar story about Sweet Heat Gourmet, Michelle Mierwald’s State College, Pennsylvania’s work of love, who sent me sauces to review a looooong time ago. How long ago, you ask? Well, I ain’t sayin’, but it’s been a while! Not Tom and Wilson’s 5 years, mind you, but long enough. There’s a genuine back-story that comes with the delay – but that’s no excuse, and I am dutifully ashamed and embarrassed, and publically ask forgiveness. So here’s where I attempt to make amends! 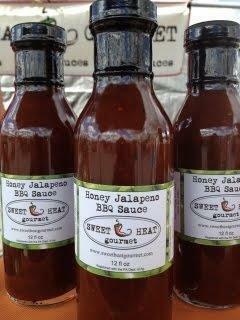 Sweet Heat has a great lineup of products. I thought it was especially cool that she sources some of her local ingredients in her online product descriptions, much like Tom gave credit to his ol’ straw headed buddy Wilson! So what was in those lost packages? What’s Sweet and what’s the Heat in the Gourmet? I received the following: Honey Jalapeno BBQ Sauce, Habanero Peach Hot Sauce, Pineapple & Ghost Pepper Hot Sauce, and Moruga Scorpion Hot Sauce. I have a little left of all of them (testimony that I was saving some for the formal write-up), and they all still have a great fresh flavor and complex profile. Not a bad sauce in the lot! I found my notes, and here’s where it gets eerily similar to Cast Away…..just like Mr. Hanks was creative, ingenious, practical, and opportunistic with the ingredients he had to work with, so goes Ms. Mierwald and Sweet Heat Gourmet! A Jalapeno BBQ sauce with nice heat! The Honey Jalapeno BBQ Sauce is fresh, and actually packs a little heat which is unusual for a jalapeno sauce. It has just enough soy and Worcestershire to give it some pop without being salty, a wonderful use of the pepper which you can feel and taste, and a spice compliment that worked well with pork, beef, and chicken. The Habanero Peach played the cumin and ginger card nicely, creating a unique flavor profile to accompany the peaches and habs, a pleasant medium heat, and the black pepper created a nice earthiness that I really enjoyed. Think fish, veggie medleys, and a Sunday brunch frittata! The Pineapple & Ghost Pepper made a mean salad dressing, with that slow crawling, back palate bhut jolokia burn (but not too much! ), and totally faked me out with the raisins, which added a fullness to the flavor profile! I really liked that one…a lot! And the Moruga Scorpion sauce was no-nonsense, front end hot! But not mind numbing hot…just a nice hot! A polite hot! A Tom Hanks nice guy, but tough as all get out to survive 5 years on a deserted island hot! I’m not a big scorpion pepper fan, as I find it a little harsh, but Sweet Heat blends the scorpion with other unnamed red peppers, tomato, a little sugar, and spices to create a Scorpion sauce I could use in chili, spaghetti, meat loaf, and on chicken. I’m sure it has veggie uses if you think about it. After all, Tom tied a raft up with VHS magnetic tape, for goodness sakes! Short and Sweet – these are great products! They all get 4 Fiery Worlds, except for the Pineapple Ghost, which earns itself 4 1\2 Fiery Worlds!!!! After being lost in the back of my frig, my Sweet Heat Gourmet sauces are still very much present and accounted for! So go to their website and order some today! 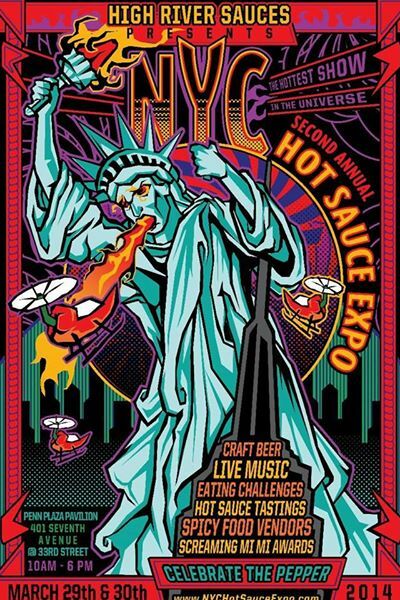 Or catch Sweet Heat March 29 and 30, 2014 at the NYC Hot Sauce Expo! Why, you ask? Because, It’s a Fiery World!